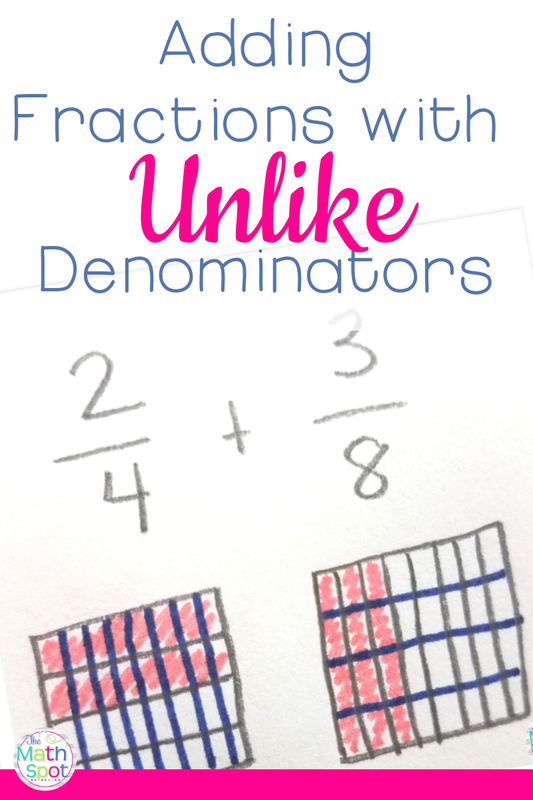 How do you add fractions with unlike denominators? 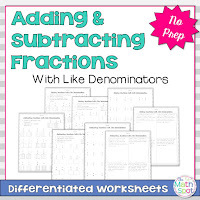 Find common denominators of course! You know, however, that I'm a big proponent of students understanding why they are using a strategy. If our students don't know why they are using a strategy so many of our learners don't know when to apply that strategy. They become students who have "strong rote skills but struggle with application". An incredibly effective method of helping our students to understand strategies is to give them concrete and representative experiences to make sense of an abstract strategy. I want to share 2 representative strategies for adding fractions with unlike denominators. 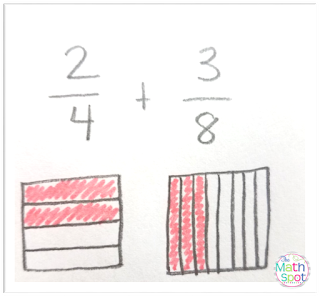 Begin by representing each fraction. Your students can see that the two fractions can not be combined as is because the pieces of each fraction are not the same size. Ask your students what they might be able to do to make it so that the fraction pieces are the same size. 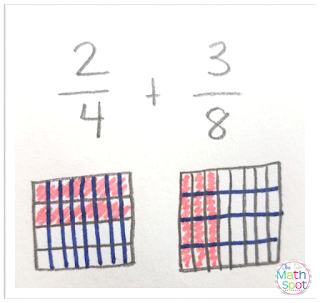 Your students may suggest creating two like arrays. 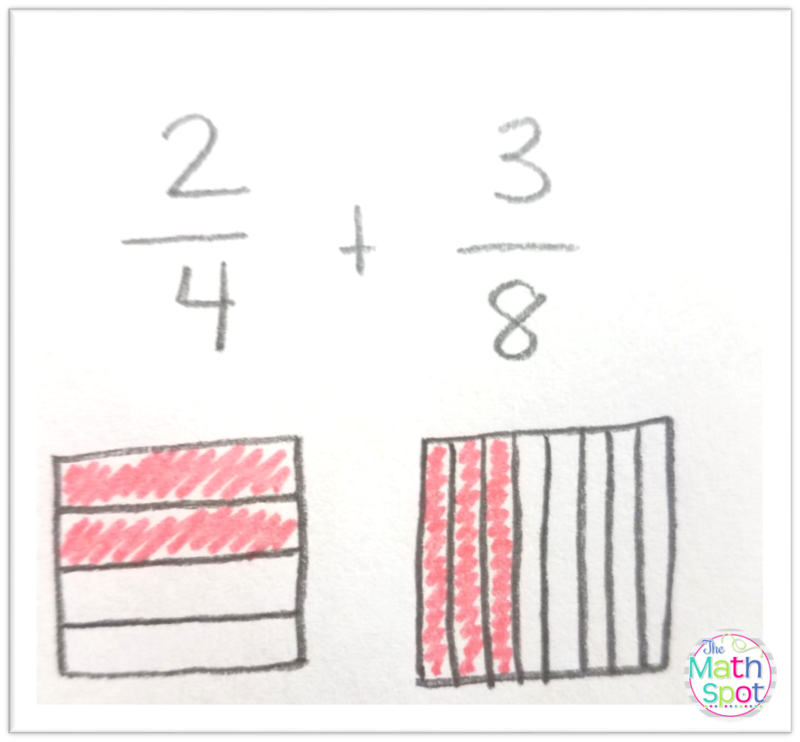 In the example to the right, You can easily draw eighths over top of the fourths and fourths over top of the eighths to create two arrays each with 32 pieces. 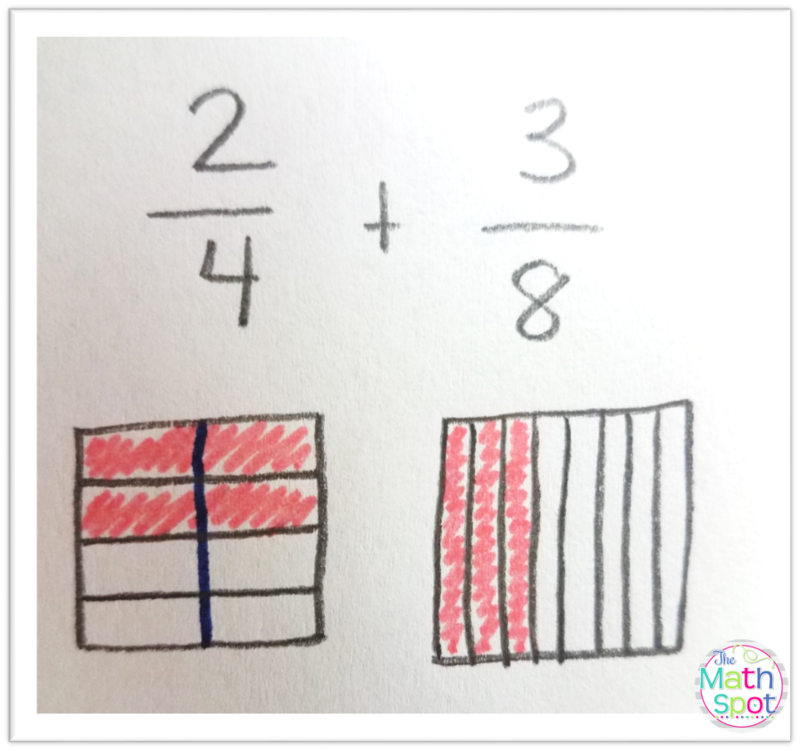 Once the two arrays are equal it is easy to add the two fractions together because you have found a common denominator of 32! You may be thinking to yourself that 32nds aren't necessarily easy numbers to work with and that the method is less than efficient. That's ok! 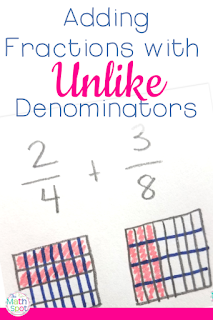 Once your students understand that they can combine fractions by making two arrays with the same number of pieces they can explore ways to become more efficient by finding the least common denominator! Consider the graphic to the left. 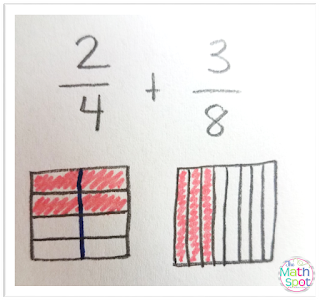 Post this picture for your students and ask if they could add these two fractions together using those models. Do your students recognize that both models show eighths even though the shape of the eighths is different in each picture?